Sandra Sunrising Osawa launched her independent film career in 1974 by producing and writing a nationally televised series, marking a turning point in media history. Prior to this defining effort, films about Indians were primarily produced and directed by non-Indians. Sixteen documentaries have now been written and produced by Sandy and have been broadcast over both PBS and commercial television stations. 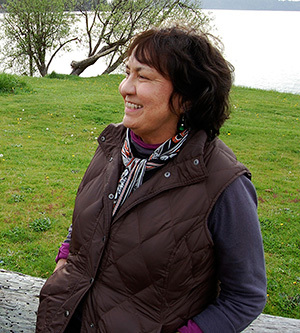 As a Makah tribal member, Sandy worked on cultural and community development projects for her tribe and was drawn into the film world in order to create alternative stories to those seen in mass media. Sandy is currently the co-owner of Upstream Productions in Seattle, Washington, and her work explores American Indian political issues as well as the unique, positive cultural and artistic contributions of Indian people today. Lectures are FREE to the public. Co-presented by the Heard Museum and Arizona State University.